The National Accountability Bureau (NAB) will challenge Islamabad High Court (IHC) verdict of suspending sentences of ex-prime minister Nawaz Sharif, his daughter Maryam Nawaz and son-in-law Captain (r) Safdar in Avenfield reference, in the Supreme Court next week. Sources said that the anti-graft watchdog has started preparations to challenge the verdict in the apex court and an attested copy of IHC verdict has been obtained. The NAB officials have directed the prosecution to contest the case in a full-fledge manner. 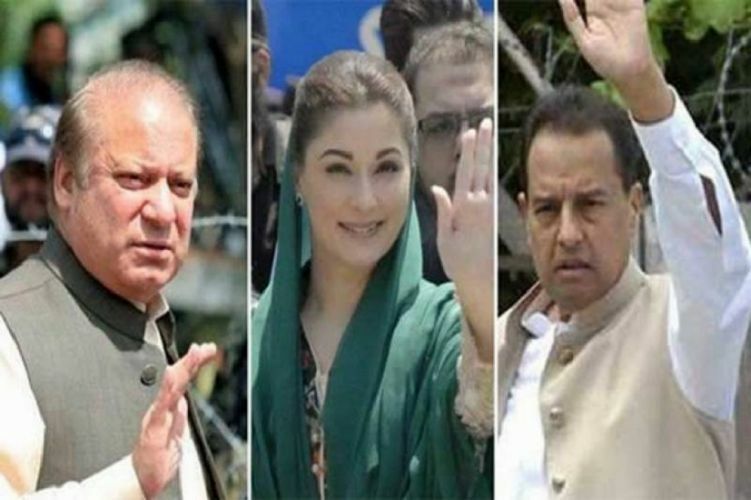 Earlier, IHC had suspended sentences of ex-prime minister Nawaz Sharif, his daughter Maryam Nawaz and son-in-law Captain (r) Safdar in Avenfield reference. Justice Athar Minallah, while announcing the verdict, directed to release Nawaz Sharif, Maryam Nawaz and Captain (r) Safdar over surety bonds worth Rs0.5 million each until final decision on their pleas. During the hearing, National Accountability Bureau (NAB) prosecutor had said that no evidence regarding transfer of 12 million dirham has been found while the agreement of selling 25 percent shares of Gulf Steel Mills was also fake. United Arab Emirates (UAE) authorities had also not verified the transfer of the money, he added. Previously, the bench inquired why Maryam Nawaz had been convicted under Section-9A of the NAB’s ordinance if assets were owned by Nawaz Sharif. The bench further asked how two individuals can be convicted on assets owned by a single person. “How Nawaz Sharif can own property when the ownership of the same rests with his children? Does court announce verdict merely on basis of this myth?”, remarked Justice Athar Minallah. NAB’s prosecutor argued law turns onus of proof on accused after ownership of flats [by Sharifs] has been established. He said, “The agreement of money transfer turned out to be fake. Likewise, the deed declaring Maryam Nawaz trustee was also proved fake. She possesses assets beyond her declared source of income”. NAB prosecutor further added Sharifs had not registered ‘Calibri font’ trust deed in UK. He said, “Maryam Nawaz crafted this trust deed and declared his brother beneficial owner”. It is to be mentioned here that former prime minister Nawaz Sharif, Maryam Nawaz and Captain Safdar were convicted and sentenced to prison in absentia for ten years, seven years and one year respectively, in Avenfield verdict. Maryam Nawaz and Captain (r) Safdar, who were candidates for the general elections 2018, were also disqualified from contesting elections for 10 years each. Nawaz Sharif was convicted under section 9(a)(5) of the NAB ordinance.